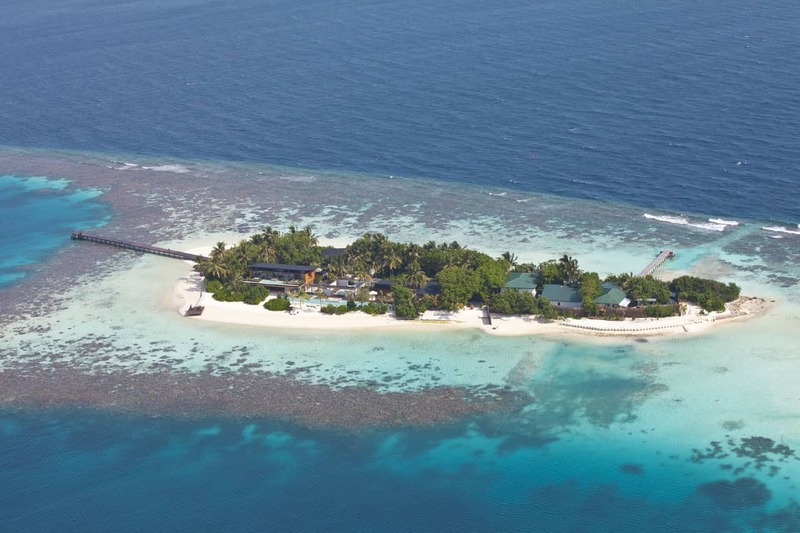 Ever fancied getting away from it all on a private island custom-made for maximum luxury? Us too. That’s why we extensively researched into seven private island destinations to rent for your next getaway. The bill will undoubtedly run into five figures for such high-class pampering – but even if you’re not looking to buy such a holiday straight away, a little window shopping doesn’t hurt..
Three miles off the Belize coast and spanning four-acres, Cayo Espanto is an idyllic private hideaway. The island offers seven colourful villas, each with the luxury of a private plunge pool and hammocks for total relaxation. The villas boast stunning views from their positions on, or even jutting out into, the Caribbean Sea. Being lazy is easy at Cayo Espanto – walking on the pristine beaches and swimming in the perfect emerald Caribbean Sea are certainly highlights but there is much more to do for the active within a party. Snorkelling, windsurfing and bird watching are available for active travellers or wildlife lovers. Perhaps most exciting is the opportunity for keen divers to explore the exceptional Belize Barrier Reef – the second largest barrier-reef system in the world. Prices: Start from £60,000 per week for exclusive use of the island and all seven villas. The rate includes a concierge, all meals, snacks and most drinks with round-the- clock service to prepare food and drink whenever desired. All non-motorised water sports are included with kayaks, pedal boats, fishing rods and many other activities. A wildlife lover’s paradise in the beautiful Seychelles, Fregate Private Island is home to many endangered species thanks to the island’s active role in conservation. Guests can spot over 2,000 free–roaming Giant Aldabra Tortoises, over 100 species of tropical birds, Hawksbill Turtles or explore the rehabilitated indigenous forest. The island offers guests luxury and comfort within its sixteen private pool residences; ranging from 450sqm – suitable for two adults and two children – up to 700sqm residences that sleep up to four adults and two children. All include a private pool with some 700sqm residences configured for couples featuring private spa facilities. In addition to the private pool residences there is also the Banyan Hill Estate which lies on a peninsula hilltop overlooking the harbour. Here, up to six guests can stay in three separate villas around a central building with a grand central dining space and living area as well as an outdoor infinity pool. Prices start from £3,000 per night for double occupancy of a private pool residence. The rate includes 15% tax and 10% service charge, all island dining experiences along with a private buggy for exploring the island. Numerous activities are included from non-motorised water sports and a half-day deep sea fishing excursion (when staying three nights or more). 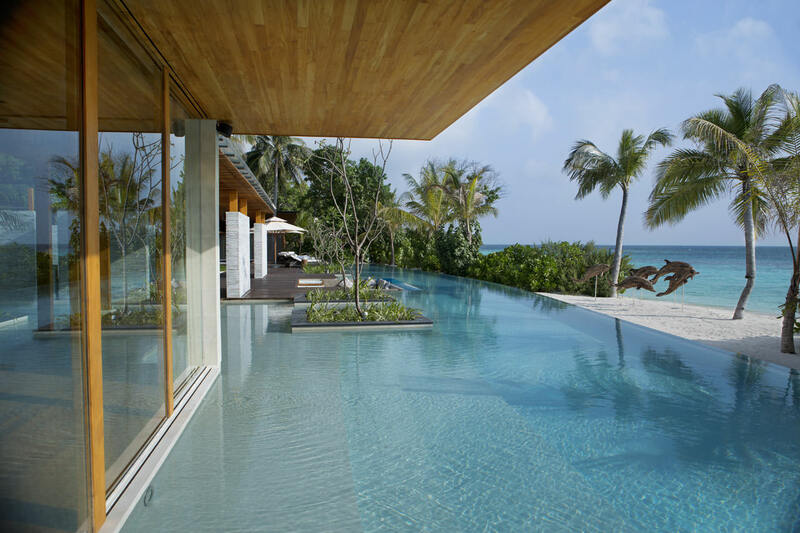 One of the world’s most exclusive and luxurious island retreats, Coco Privé Kuda Hithi Island is arguably the most tranquil of all the Maldivian Islands. Perched above a vast underwater mountain range – the island is a dramatic contrast to what lies beneath. Guests arrive on the island by luxury yacht where they will be greeted by pristine white sands, jewel green sea and lush tropical plants. The dramatic underwater landscape coupled with the beautifully clear water is a paradise for snorkelling and diving. There are a number of water sports to choose from including water-skiing, paddle-boarding, kayaking, or even deep-sea fishing. Staying at the islands Palm Residence (the master residence) is a memorable experience with uninterrupted views of the Indian Ocean and interior design by award-winning architect Guz Wilkinson. There are an additional five villas all with private bathrooms, and spacious living areas that step out onto shared pool decking. The island also offers a state-of-the-art gym, an infinity pool, steam room, and a fully-stocked kitchen with a 24-hour chef. Prices: Available on request. Rates include a concierge and all meals and snacks prepared by a private chef. The drinks selection includes champagnes, wines, spirits and soft drinks. Located in the Mediterranean, Illa Tagomago is just 900m from Ibiza giving guests the option of experiencing the buzz of one of the most popular destinations in Europe. The island covers 148 acres featuring a private nature reserve, a bird sanctuary, a private jetty and mooring as well as a private lighthouse dating back to 1909. The island offers a feature villa set in the heart of the island featuring five luxurious double suites. The master bedroom has its own custom designed walk-in wardrobe equipped with sophisticated technology. Stepping outside there is a jacuzzi, fitness area and a BBQ for taking advantage of the warm climate and views over the Mediterranean and to the main island of Ibiza. Prices: Start from £70,000 per week and include exclusive use of the island, a concierge, a private chef and sous-chef along with a waiter on hand to serve guests throughout the day. A water sports manager, who can help with additional island activities and chartering yachts, is also included in the rate. Set in one of the most secluded spots on Earth, Musha Cay offers exclusivity and privacy. 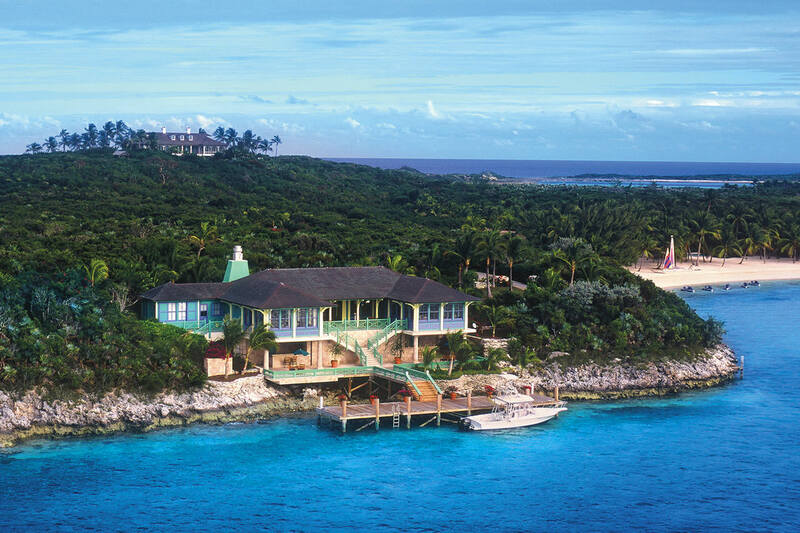 Owned by the famous illusionist David Copperfield, the islands offer a truly unique experience. With over 700 acres and 11 islands, Copperfield Bay is just the place for a large family get-together or large party of friends. Staying at Musha Cay, guests are provided with their very own cameraman, an outdoor movie theatre on the beach and the opportunity to play on Harry Houdini’s pool table whenever they wish. Across the 11 islands there are 40 secluded beaches as well as a floodlit championship tennis court with a thatched gazebo clubhouse. The island has five luxurious villas which together accommodate up to 24 guests. Each has a private beach, the latest audio-visual technology, spacious living and dining areas and a dedicated butler service. 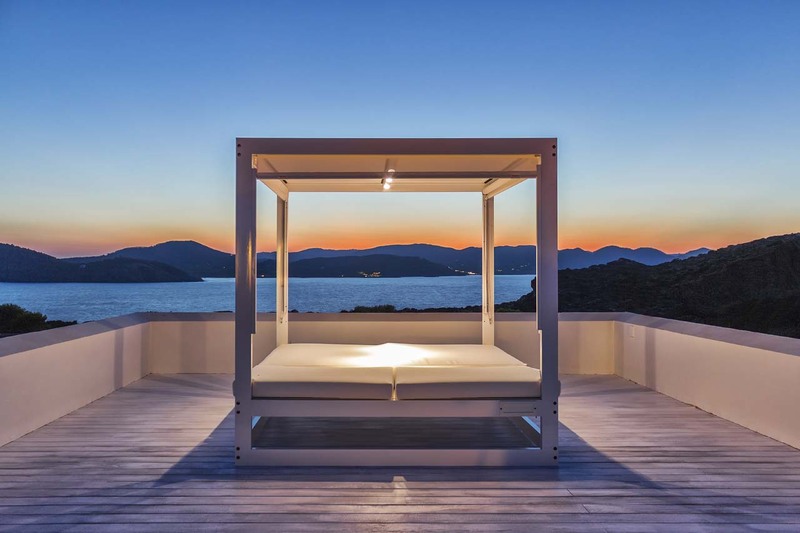 For those seeking a 360-degree panoramic view of the island – the 10,000 sqft high-view villa provides just that from its lofty position atop the island’s highest point. Prices: Rates start at £178,000 per week and include a concierge, all meals and beverages including fine wines and Champagnes. Unlimited use of all island equipment and activities are included in the rates. There are also staff of 30 provided for to cater for every need. 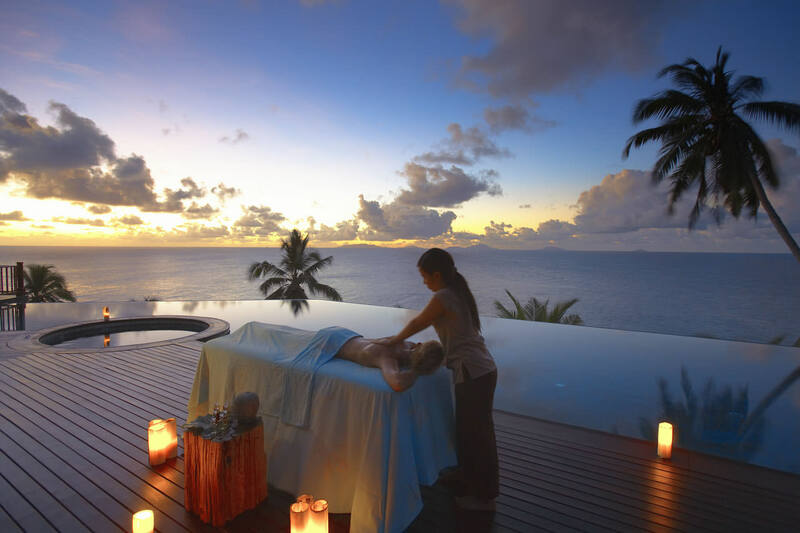 An unspoilt paradise in the British Virgin Islands – owned by Richard Branson – Necker Island is one of the world’s most exclusive retreats. Guests are greeted by an idyllic setting featuring pure turquoise waters, soft white sands, and exotic wildlife. Wildlife lovers will relish trying to spot some of the animals the island is home to including 200 flamingos, 60 lemurs, scarlet ibis, Aldabra giant tortoises and iguanas. Explore countless beaches or discover the island’s many activities including Branson’s favourite kite-surfing, sailing, or even take an underwater adventure in the island’s three-person submarine, the Necker Nymph. The island accommodates up to 30 guests in the Great House and six private Balinese houses. The Great House has eight guest rooms each with king-size beds, en-suite bathrooms and balconies. The master suite features a private outdoor jacuzzi and an outdoor bath. Three of the Balinese houses are located at the edge of the island and three inland – with a more tropical setting. 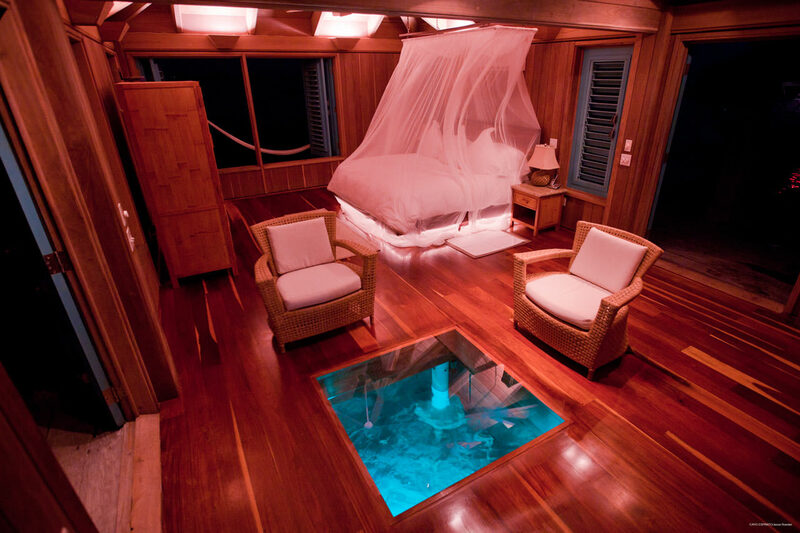 They are all unique and offer a private setting perfect for couples or one or two sharing. Prices: Begin at £40,000 per night including all meals and drinks (including alcoholic). Around 70 staff will be on hand to organise anything from a dinner party for friends and family to an intimate romantic meal for two on the beach. Water sports instructors are also included in the rate to hone kayaking, water skiing, wakeboarding or snorkelling skills. Situated on the remote and untouched Koh Rong Archipelago, Song Saa is made up of two islands standing side-by-side, Koh Ouen and Koh Bong. Guests are able to experience total seclusion on the island yet will only be 35 minutes from the port of Sihanoukville, Cambodia – the country’s premier tourist destination. On the islands, there’s the chance to explore virgin rainforests, tropical reefs and pristine beaches. The island’s owners pride themselves on their work with local people and communities and providing a world-class wildlife sanctuary. 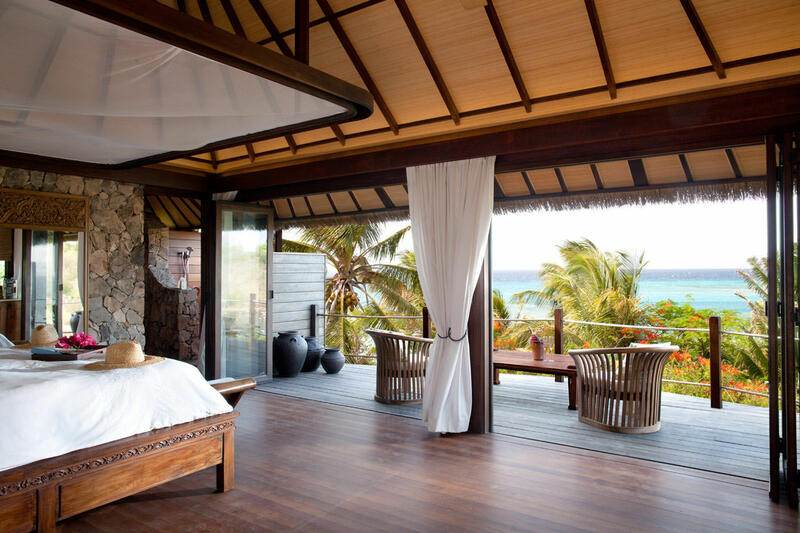 The islands feature 27 over-water, jungle and ocean-view villas, together accommodating up to 64 guests. Each villa has king-size beds with luxurious Ploh linen, oversized baths, bespoke handcrafted furniture by local artisans, wi-fi and fully stocked bar fridges. The island operates on an all-inclusive policy including everything from light snacks to gourmet cuisine from the world-class chefs at Vista Bar and Restaurant. For pizzas and tapas guests can try the Driftwood Bar – or in fact any spot on the island – for a decadent dining experience. Song Saa also features a unique spa experience. Spanning the island are tranquil regenerative sites, outdoor salas and discreet treatment villas where practitioners use a combination of traditional Khmer techniques for ultimate relaxation. Prices: Available on application – i.e. it’s high-end. Prices include a concierge, boat transfers, all meals and the house drinks selection including both alcoholic and non-alcoholic beverages. Thanks to Villa Guru for their help uncovering these private hideaways.